Have you been meaning to dust off that camera memory card and print out some of your favourite photographs from years and years ago? Transform your photographs into something that will last forever. Have you ever taken a photograph that was so good you could have entered it into a competition? Now imagine that printed onto canvas and hung on your wall. Think about how great a canvas photographic print would look and how it will impress your friends. Superchrome’s canvas photographic print is for everyone, including artists and photographic artists. The more canvas prints you buy, the cheaper it is. It is a very economical way to print your limited editions. We print on top quality cotton canvas in matte or satin. Ask us about our heavyweight artist grade canvas for fine art prints too. We offer sizes from A4 to 2A0. The choice is yours! A canvas photographic print is not expensive with Superchrome, even though we use the highest quality materials and the most up to date HP Designjet printing technologies. All our inks are eco-friendly. We use UV inks, latex or eco-solvent inks for vivid printing and stunning long lasting colours. If you do not have a photograph, you can find a fantastic canvas photographic print from our online gallery. 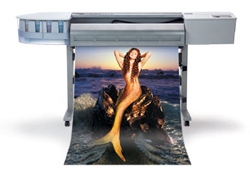 If you have an image ready to send to us for printing, we have made it easy for you. All you need to do is upload the image of your choice via our website. Fill in the quick and easy online form, choose canvas sizes from A4 up to very large! Superchrome will print, colour match and even crop your image to ensure it fits on your choice of canvas size. Thank you for visiting Superchrome’s website today. If you have a custom order in mind, or require help with the design of your canvas photographic print, then call us today and our team of designers will come up with an amazing solution. Superchrome is waiting to send your canvas photographic print within 48 hours.